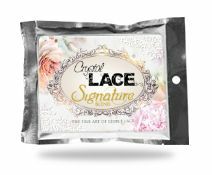 Signature blend Lace Icing: Sweet. 35 Strips from 100g! 100% Edible and Natural Ingredients. © Copyright Crystal Candy 2019. All Rights Reserved.